I really like the lattice towers. They are designed purely for function – built as high as possible with a minimum of materials, the wind passes through otherwise it would topple down in a storm. This stamp is looking up at one of 6 transmitters at the radio station at Varberg in Sweden, built in 1922 to 1924. Now it is classified as a World Heritage Site and opened to public on Alexanderson Day. Two stamps to show caring minds and also handover of generations. I have been thinking about change of generations – very personal matter, as well as a part of long human history. Hands represent one’s wish, to be treated with dignity and supportive mind for growing ones. Wrinkled hand is depicted warmly by fine intaglio engraving. Humble, yet strong stamps. The delivery man is blowing the bugle horn with all his might, and – very rare to see a horse with scary eye. According to a book titled “What on Earth Happened?”, churches owned horses and cleared a lot of woodland, then rent those reclaimed land to farmers – that was the largest force of destruction of ancient forests in the Medieval Europe. This Swedish stamp is showing a mother horse and a pony in the agricultural field – it rather looks peaceful now, though. About 6000 years ago, the ancient people started to domesticate horses. Around 10th century in Europe, people started to use horse powered plough and that helped to speed up cultivation. Until the tractors were invented in 19th century, horses provided power for agriculture and supported increasing population on the earth. 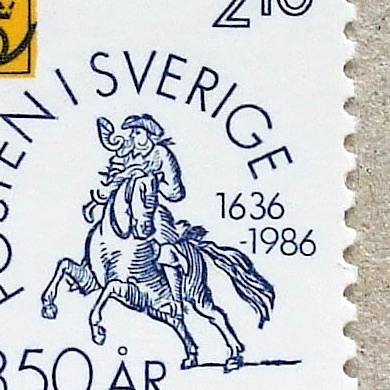 North Swedish horses have long mane and gentle eyes in these stamps. “The Wonderful Adventures of Nils” was an animated film on TV when I was a child in Japan and it is evocative for me. Because of that TV series, I still imagine a little boy on one of the Geese when I see the V-shaped formation of migrating birds. Since December I had this incident twice – I slammed on the brakes when I was almost running over a squirrel, which was tottering across the road. They were both plump, had well-rounded bottom. I though that was because we had a mild winter and they came out from hibernation too early – but someone told me that squirrels in London never hibernate, as they can find food all year round. Well, maybe the squirrels don’t symbolize Savings any more – but those winter squirrels are certainly saving some fat on their body. Better to watch out for little fluffy animals on the road, not to make them a victim of a traffic accident. 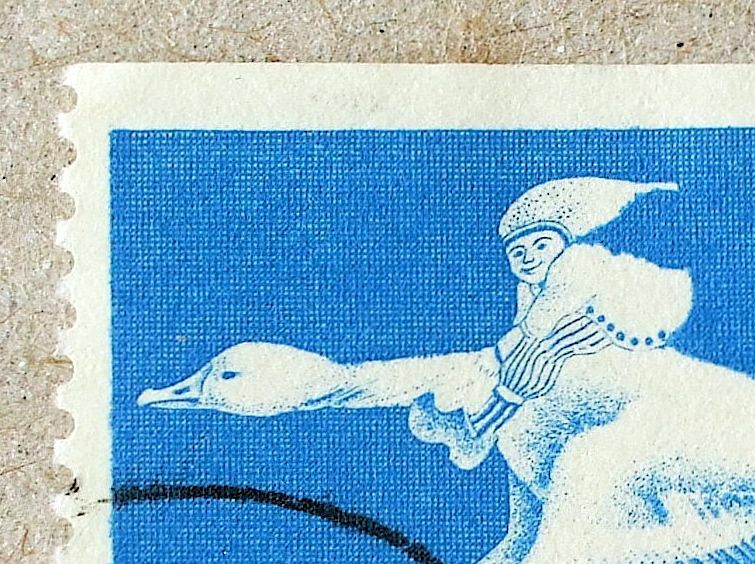 This stamp was in a booklet, which was distributed to all households in Sweden and they were valid for inland postage only, and gave a rebate on the normal cost for postcards and letters up to 100g. This is why there is no face value. There is a saying in Japan that your appetite grows in autumn. Yes, I have eaten a lot in Istanbul last week and now here in Tokyo. My appetite will be more developed in Hiroshima in the next week, then I will start to miss my everyday meal in London. This is the third radish stamp in my collection. In Europe, now is the time to make preserved food, the grace of forest. I am kind of traumatised by my first experience in camping – heavy rain was too loud to sleep, my brand new trainers went totally brown in muddy ground next morning. It was the last camping memory and I have not gone back to the fields to sleep since. In recent years it seems I am wanting to go back – I bought a set of stackable wine glasses, enamel mugs and a kettle and even a collapsible coffee dripper. I cannot resist compactness and devices for mobility. Well, I have to buy a tent, then. One of the features which catches my eye when I see ironwork is the spiral. There is some kind of power there, especially when they exist in numbers. A lot of spirals – somehow makes me stare at them and be hypnotised. This series of stamps, definitives from Sweden, are simple and powerful examples to reproduce the power of the spiral.